The author summarises the results of her research on Lean Culture in higher education. She indicates the theoretical and methodological contribution of the research to the development of management sciences. 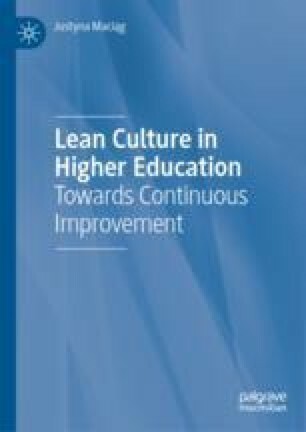 The chapter ends with recommendations concerning the directions of further research on changes in higher education organisational culture under the influence of the Lean Management concept and on modifications in the Lean Management concept occurring in the process of its implementation in higher education institutions.